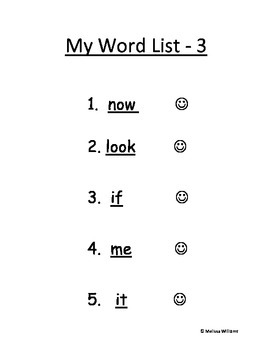 Students can track their own progress of high frequency word recognition. 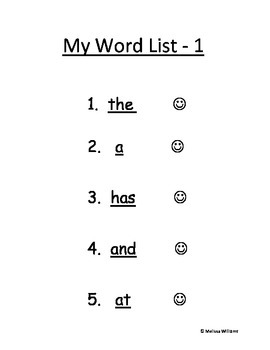 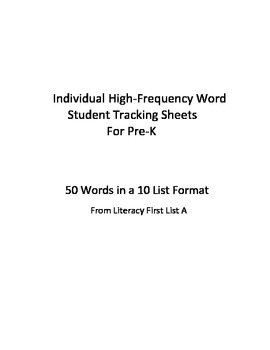 50 words from Literacy First List A are broken down into 10 sections with 5 words in each section. 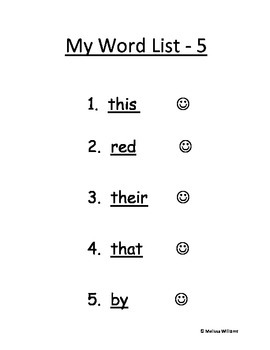 Students can color in the smiley face next to the word once they know it.